My hope with this blog is that I can share thoughts and information about the Music at St Mary’s Church, Bury St Edmunds – but also my experiences as a freelance organist. 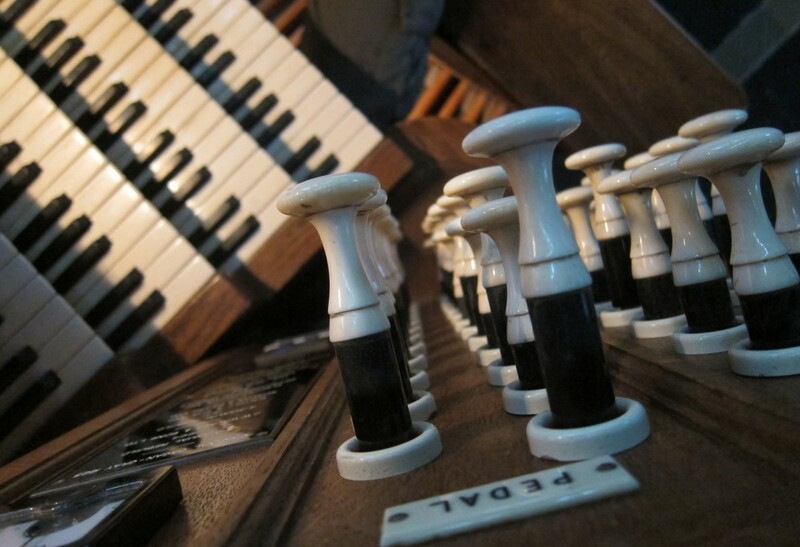 I shall try to inform, entertain (maybe), amuse (occasionally), but mainly let this be a vehicle for information for how (and sometimes why), we as organists do what we do, as we seek to use our various talents to worship God. ‘…it’s organ organ all the time with him….’! I’d love to include your piece about alternative hymn tunes in my choir’s newsletter if I may? Sure, Peter, that’s fine! Please add my stmarysorganist.com address, if that’s OK? Thank You, Adrian. Great reading! Rather like Corno Dolce in Organists’ Review. I can relate to most of these experiences you describe Adrian; one which sprang to mind was when visiting a little village church in Oxfordshire. During my playing of the final voluntary at their Carol service, I nearly jumped off the organ bench when surprised from behind with Mr Biggles-Boom Fortissimo shouting in my ear “Thank you SO much for coming, lovely music”. You don’t have to make it up do you?! Thanks for a very interesting read! Found after reading a Facebook comment. Good reading. It was a pleasure to have one of your choristers at St Oswald’s church, Ashbourne in the summer.